It's better than starting over! 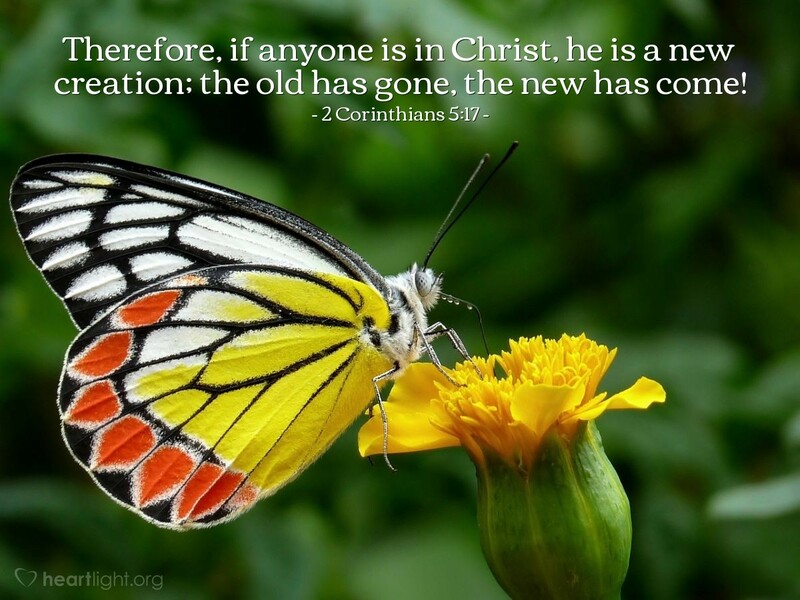 As Christians, we get a fresh and new start. God not only forgave us, pardoned us, ransomed us, and saved us, he also made us a new creation! And every time we come to him, every day we rededicate ourselves to serve him, and every new year we offer to him, we get a new start and a whole new world. So as we begin this new year, let's begin by offering ourselves to him, asking him to cleanse us from all unrighteousness, and take leadership of our lives. Almighty and holy God, I want to glorify you and bring you praise in the choices that I make, the people that I influence, the words that I speak, and the actions that I take in this coming year. I know that I am not guaranteed a single new day, but I want each that I live to be a day I have lived for your glory and honor and praise. In the name of Jesus my Lord I pray. Amen.